Proactive Monitoring and Management go hand in hand toward keeping your IT infrastructure running 7X24. One of the most basic, yet critical requirements, is a physically secure and stable environment for virtually all systems. NAAT can help you secure your Data Center with a variety of products from virtually all major vendors of monitoring and management products. Can you "See" What's happening in your Data Center? With the New NetBotz system from APC, you can not only monitor the temp, humidity etc., but actually SEE and record all activity in secured areas. Recorded data can be easily reviewed, searched, and tagged for future needs. Use one to monitor the entrance or multiple units to secure your entire Data Center. 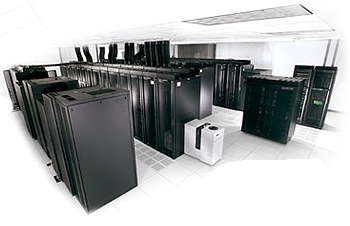 We can design and supply equipment for all levels of systems Monitoring and Management. With over 18 years of experience, NAAT will work with your IT and Faculties staff, as well as architects, construction contactors to design and deliver a cost-effective, monitoring system that will grow with your organization's ever changing IT environment.